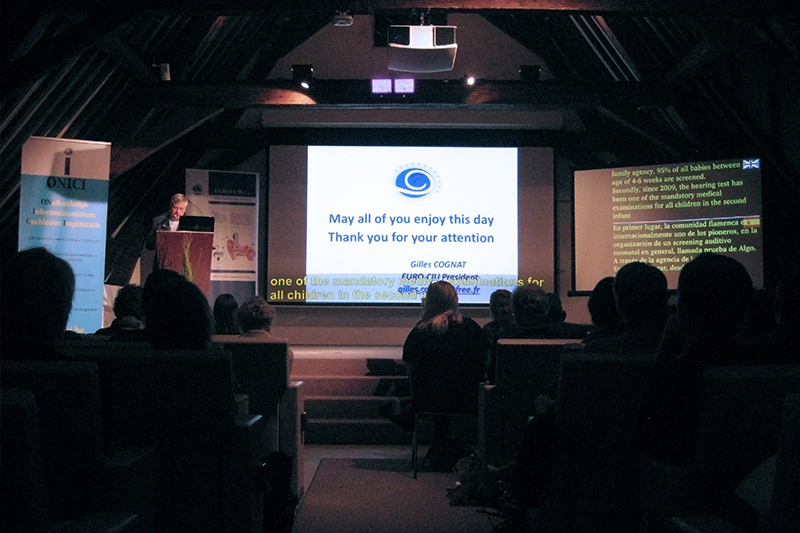 Text on Top is a unique wireless and low cost solution for real-time captioning during a presentation or congress. 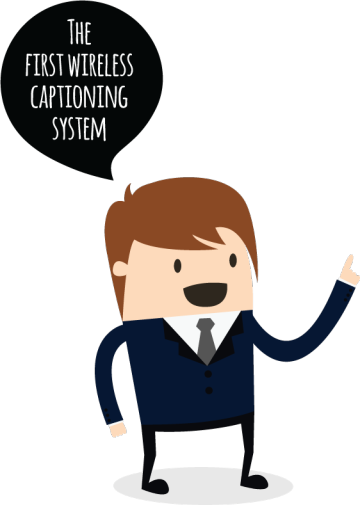 A captioner types what the speaker is saying and enables with Text on Top that the whole audience can follow the speaker. Our aim is to improve the communication between groups of people by offering this easy, low cost and smart high-tech solution. 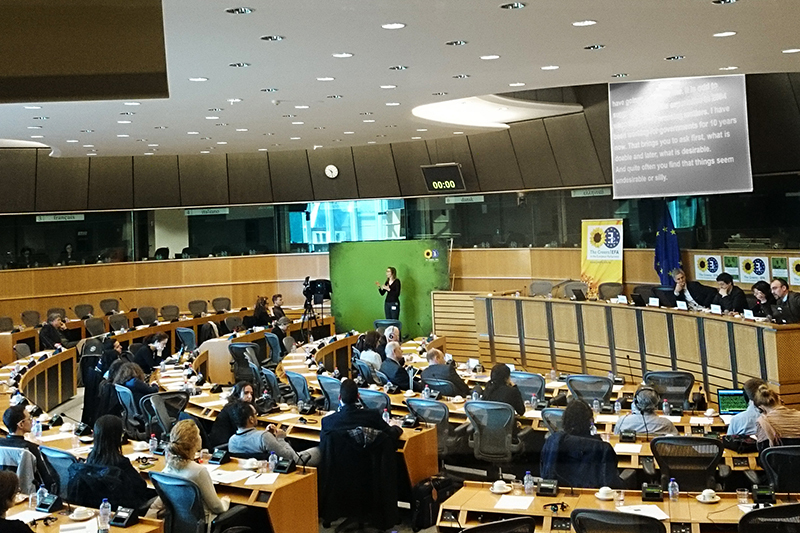 We help to improve presentations and congresses by solving the problem between speakers and non native speaking audiences. But of course also deaf and hard of hearing people can participate in your congress or presentation. In a nutshell: You need at least 2 Text on Top devices. One for the computer of the captioner or reporter and one for the computer on which the presentation is being shown. These will have a connection and the software makes sure that the spoken text, being typed by the captioner or reporter, is shown nicely on top of the presentation. Text on Top operates wireless. So no wires or cables in the room. The transmitters and receivers ‘talk’ perfectly to each other. So you can be sure of a perfect connection between captioner and presenter. At the same time no Wi-Fi or LAN-connection is necessary. Text on Top can be used on Windows, Mac and Linux. It also works perfectly in combination with every keyboard and speech recognition software. It is not necessary to install any software. So, it’s really Plug & Play. How easy is that? You can have the software make translations. Very handy when there are multiple nationalities present in the audience. 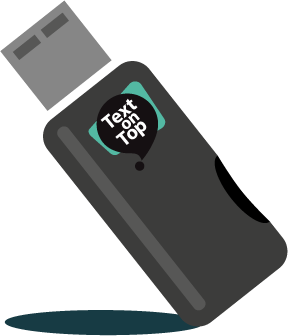 Text on Top can provide up to 10 languages real-time and simultaneously. When using the translation service, the captioner will need an internet connection. 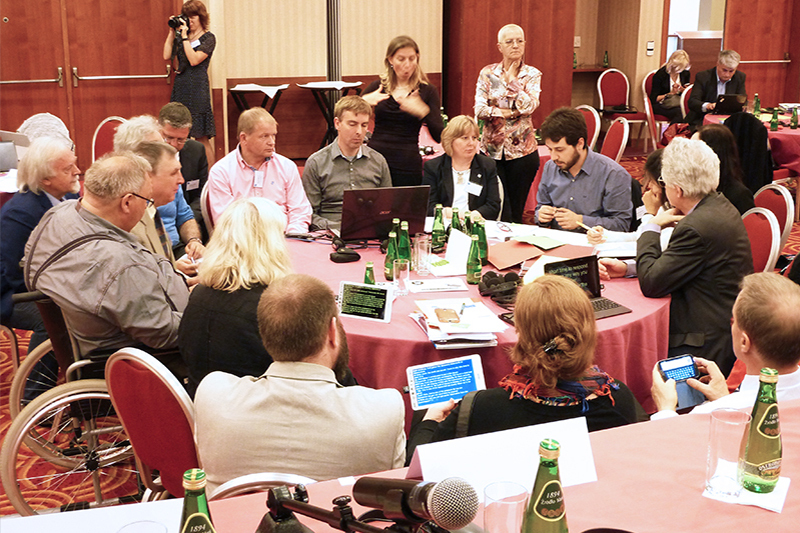 Not only deaf and hard of hearing people can profit from the text during a presentation. Also think of people with a visual impairment (tablet solution) or when the speaker has a strong accent or talks unclearly. "I have used Text on Top a few times now with clients, and we all love it! You can’t believe how much clients love the convenience of one screen and projector, and no turning from this screen for PowerPoint to that screen for captions. Beautiful!" "I have to tell you, this is the first time i've ever done a presentation with text on top, and to be able to sit here and read right here without you guys knowing it, everything what colin said was absolutely awesome." "Text on Top saved the day today! My client was so thrilled. It was a total success and I'm hooked:) I can't wait to use it on all my projection jobs and leave my projector and screen at home!!"